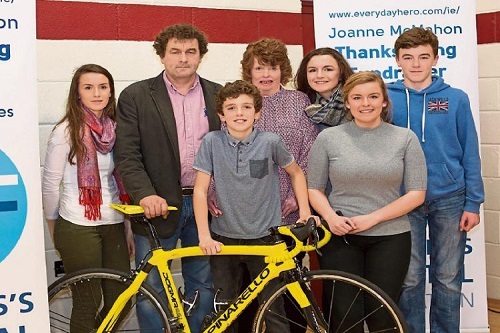 The Joanne McMahon thanksgiving fundraiser, is in aid of the St James Hospital Burns unit and it takes place on Sunday 17th April 2016 from Castlemahon Community Hall. Naturally we would like to receive voluntary contributions to support the success of the events so we will provide ample opportunities on the day especially at the “Checking in” point for everybody to make whatever contribution they wish. If you are unable to make this brilliant event, but want to support this important fundraiser for the National Burns Unit, please click here to donate now.